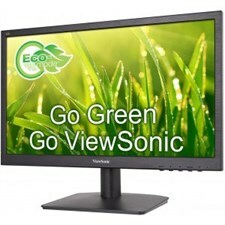 The ViewSonic VA2261h-9 is a 22”(21.5” viewable) Full HD LED Monitor which is ideal for business or home usage. 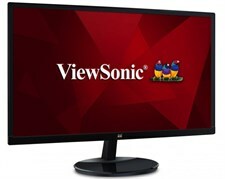 Viewsonic is a multinational electronics company. It specializes in visual display technology. Especially LCD and LED display. Shingpoint offers you a platform to buy the best Viewsonic LED monitors in Pakistan, that too online! You must be wondering what Viewsonic LED monitors prices in Pakistan these days. As a buyer, we're bound to check prices before we make up our mind or set a budget. We understand your concerns. That's why we offer you a hassle free and easy way to check what's in your range. Once you select your price range, our system will automatically display products within your range. This will save your time and present you with options you would actually want to consider. Starting from 5000 PKR, we have a vast variety of HD LED monitors. Choosing a price range will narrow down your search, help you choose the best monitors within your budget, and make it convenient for you to buy LED monitors online. 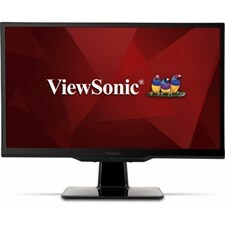 Shingpoint offers a great variety of Viewsonic LED monitors at a competitive price. You will never have to worry about overspending on Shingpoint. You will find products that are worth your hard earned money. 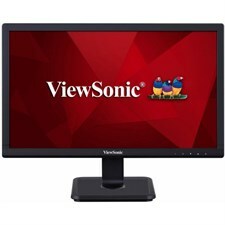 We have made a great variety of Viewsonic LED Monitors available in Pakistan. You can go through our catalog and check all the products. We are sure you will find all that you wish to buy. Whether you're looking for something durable, or elegant, stylish or up to date. The variety of HD LED monitors available on Shingpoint ranges from economical to luxurious. You can make a budget-friendly choice and we guarantee you, it will still be worthwhile. 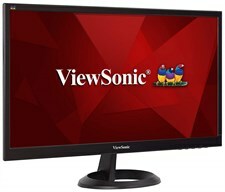 You can find the finest quality Viewsonic LED monitors in Pakistan right here. Just a few clicks or taps away. On our user-friendly website. We provide a wide range of variety on your fingertips. Each product we offer is unique in features, design, durability, and outlook. 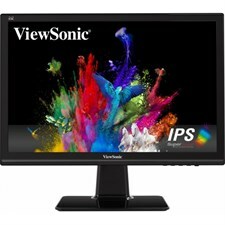 For example, here are a few of the Viewsonic LED monitors in Pakistan available on Shingpoint. 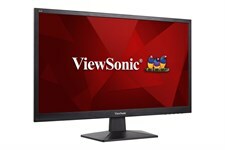 Our Viewsonic VA1903a is a 19 inch LED monitor. Which gives 18.5 inches of viewable screen. It is made for educational and corporate purposes. It not only fits in the environment perfectly but also contributes to the environment. Making it easier for you to focus and have the feel. It's 19" widescreen with the ratio of 16: 9 is great for HD content. Having the View Mode of Superior Color Setting and Intuitive Settings adds to the benefits of it. Not only that, Viewsonic cares about your eyesight and comfort, hence, there's a blue light filter for more comfortable viewing. It's Eco mode helps you save energy and lowers the cost for you. Now that's environmental friendly as well as wallet friendly. Two in one. This LED monitor right here, comes with SuperClear AH-IPS Panel technology. It offers a clear and sharp color representation. What's more? It gives awesome screen performance at wide viewing angles. So you can watch it from any angle and the image will not turn negative. It is fully High Definition, with 1920 × 1080 pixel resolution. It is 22 inches wide giving 21.5 inches of viewable screen. 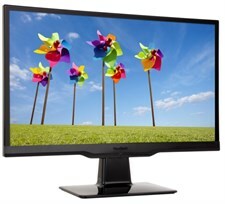 This full HD LED monitor has been made flicker free to provide a great experience. To keep your eyes healthy and comfy, it has a blue light filter. Enjoy a great quality display in your comfort zone! This baby right here has a Frameless design. This 22-inch SuperClear IPS LED monitor is full HD with 1080 pixel resolution. It is ideal for gaming and entertainment. Why so? Here's why 21.5 inches of viewable display with SuperClear image enhancement technology gives a great display. Add to that Full HD 1920 × 1080 native resolution and the view becomes attractively detailed. Hold your horses! There's more, it has MHL connection for smartphones and tablets. Now you can check out the content saved in your phone on a big HD LED screen! A beautiful, frameless, glossy-finish screen with a bezel design. The products we've made available are carefully selected to meet your demands. We strive to fulfill your wishes. Which is why, we have selected the best variety of ViewSonic LED monitors in Pakistan and made them available to you. These monitors vary from budget friendly to lavishly luxurious, but we have made sure your money and time doesn't go to waste. The products we provide are not mere luxuries. They are useful and fulfill your needs. The kind of needs you never knew you had until you came across the products we offer. As a wise person once said, luxury is a need you never knew you had. 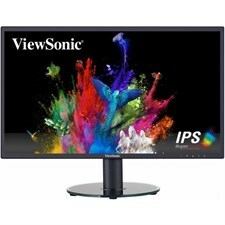 Shingpoint offers best ViewSonic LED monitors price in Pakistan you'll ever find in the market. Don't believe us? Look it up. We care about the efforts you made to earn all that you have. And we want you to utilize it well. Therefore, we charge the lowest possible price for you to be able to buy HD LED monitors online. Not only that, we offer a number of LED monitors for different ranges of budgets. Starting from 5000 PKR and going up to 75000 PKR. Just select your range and find the best available product in your budget. All through just a few clicks and taps. ShingPoint offers free home delivery to any area in Karachi. No need to worry about delivery charges. No need to worry about timings and dates! Good news is that we're available 24/7. We're ready to take your order and deliver it in time round the clock. Seven days a week without a break. Don't hesitate while ordering anything at any time. We are here for you. At your most convenient timings. Your ease is our success. Which is why we accept various payment methods. Whether it is cash on delivery, Paypal, Credit card or bank transfer. We accept it all. Choose whatever is convenient for you and we have a deal. Just come and visit our displayed catalog online to see the latest Viewsonic LED monitors prices in Pakistan and place your order now.